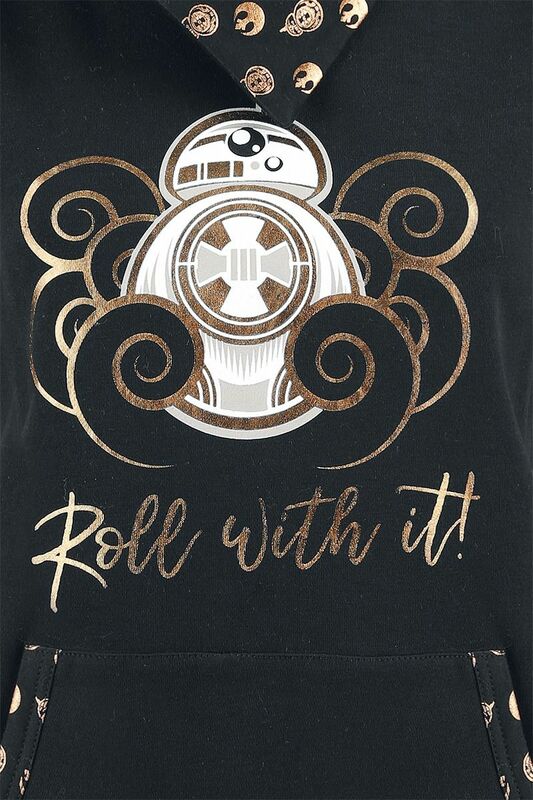 This women’s Star Wars BB-8 gold foil print hoodie is now available at EMP Online. 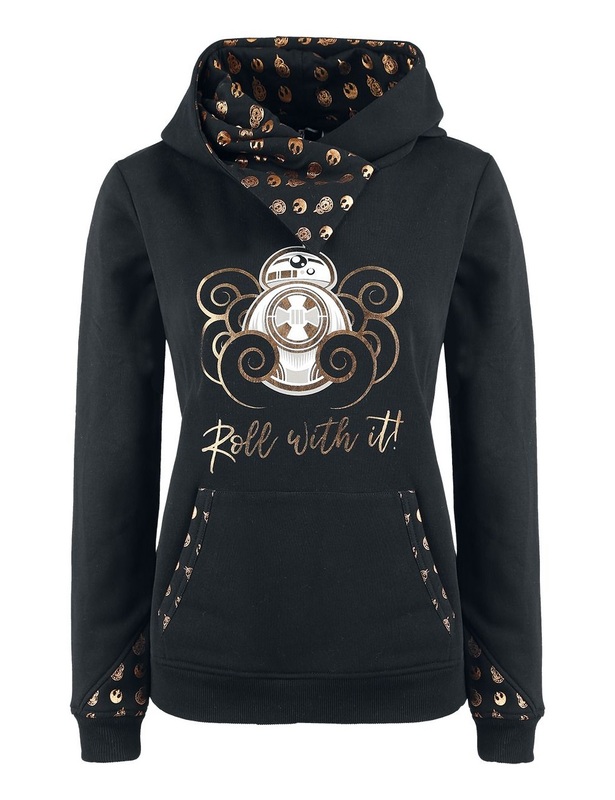 Made from 70% cotton, 30% polyester, the black pullover hoodie features a gold-tone foil artwork print of BB-8, with the text ‘Roll With It!’ on the front. 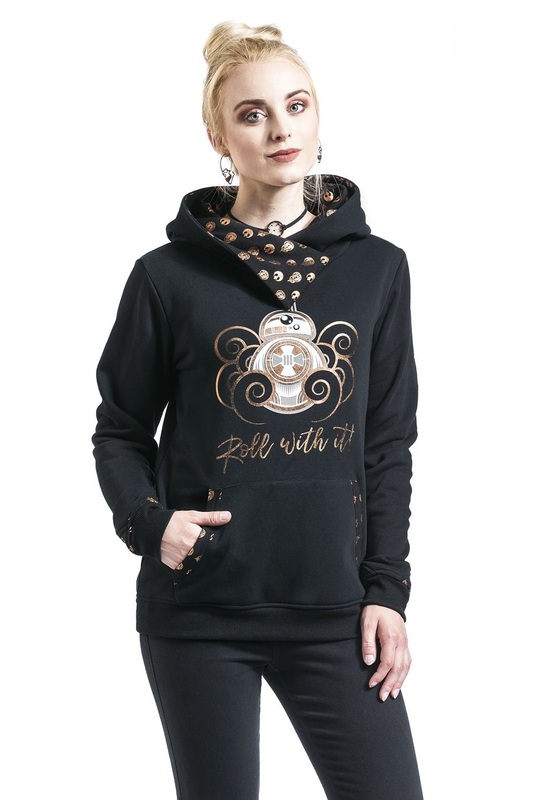 The hoodie also has accents of gold-tone foil printed fabric – on the front pouch pocket, on the ends of the sleeves, and the lining of the hood. 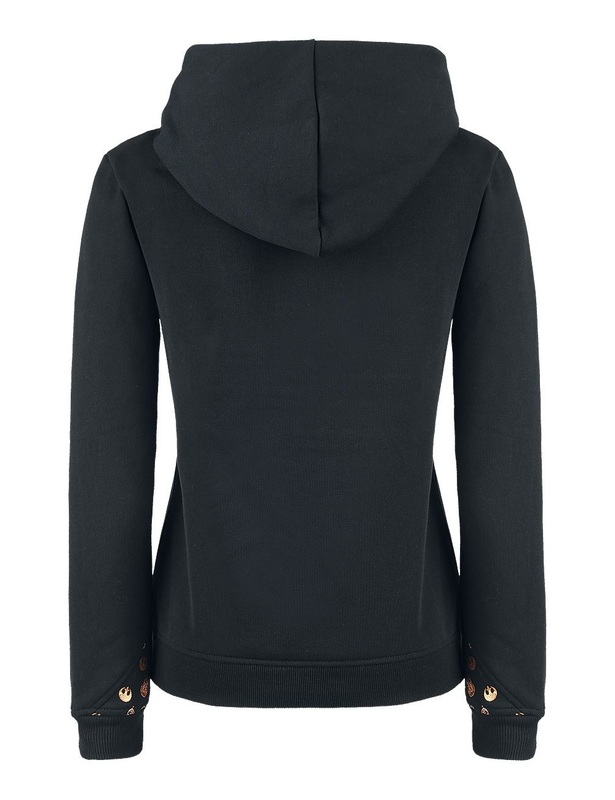 I really love the design style of this hoodie – the additional printed details at the ends of the sleves, and the scarf-style neckline to the hood. Combined with the pretty gold-tone foil printing, it’s just so pretty! 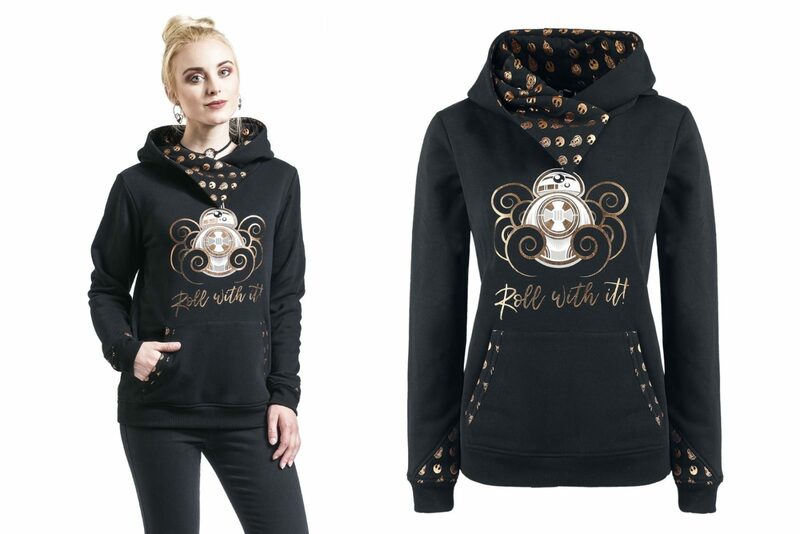 Available in sizes S to XXL, the hoodie is priced at €49.99 each (approximately US$ each ) – EMP Online can ship internationally.